Do You Play Calm Under Pressure in Sports? How do you view and respond to pressure? Are you able to play “calm under pressure“? When you need to make a critical shot, are you able to remain relaxed and confident? You feel your heart pounding and your hands are sweating. You adjust your grip several times and it seems like you have been standing over the ball for an eternity. You draw the putter back and hit the ball pushing it wide of the hole. Your nerves got the best of you. This happens to every golfer at some time in their playing career. 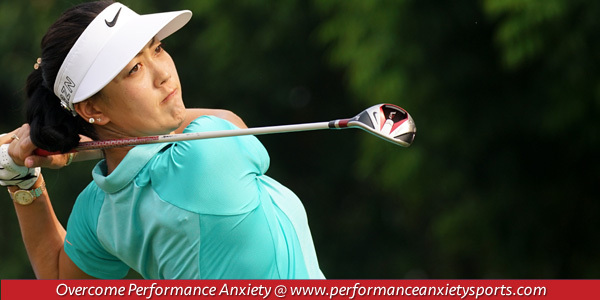 But many golfers have overcome their nerves to play cool and relaxed under pressure. Seung-Yul Noh, 22, is a South Korean professional golfer who earned his tour card for the 2012 season. Noh was ranked No. 176 in the world prior to winning his first PGA Tour event with his victory at the 2014 Zurich Classic of New Orleans. Noh, with his confident, relaxed and bogey-free play at the Zurich Classic moved the golfer up in the rankings to No. 88 and qualified him for next year’s Masters. Embrace the fact that you are and you want to be in the tournament. All the training and practice is to help you succeed under pressure- so embrace it. Maintain a standard tempo for your game. Rushing your shot preparation or over-thinking prior to your shot interferes with your focus and breaks your rhythm. Focus on your strengths as a play, not what other competitors have that you don’t. Focus on playing the golf course as you can’t control what other players do. Remember, that golf is a game. Have fun with it so you can play relaxed and confident. Start your mental training and become the best athlete you can be!